The Jewish cuisine has some delicious recipes that are definitely worth trying out. 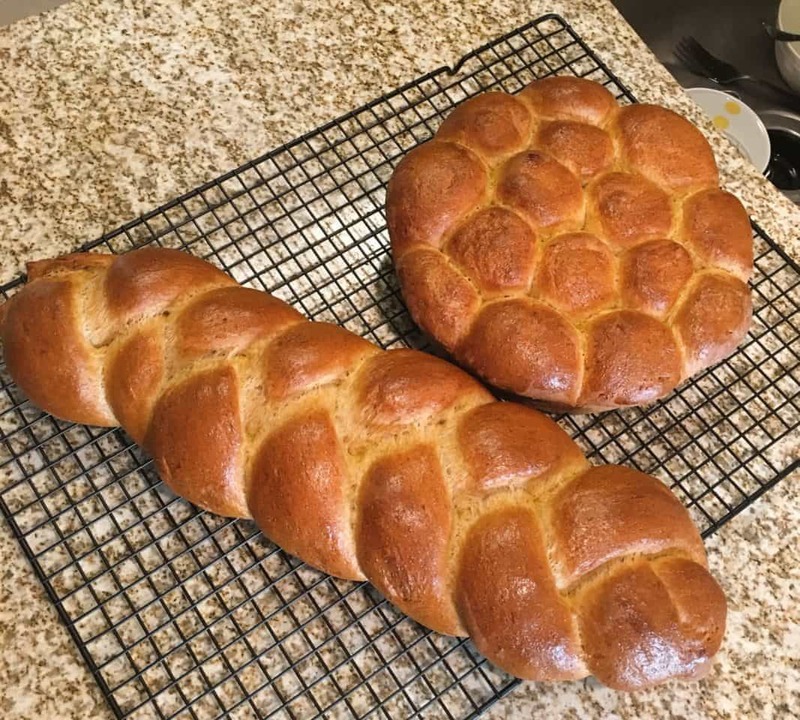 One such example is this challah bread recipe. This is a traditional Jewish egg bread which is quite versatile. We are preparing this recipe with quail eggs because they simply taste so much better. For starters, Challah bread makes for an excellent French toast and can take sandwiches to a whole new level. Also, it works excellently as bread pudding. Challah’s taste is the perfect blend of salty and sweet and its texture is soft and fluffy. Its golden hue is attributed to a nutritious quail egg wash prior to baking. 1. Start by stirring the yeast, sugar and 250 ml warm water. The water should be around 50°C. After you stir the ingredients together, let the mixture sit for 5 minutes until it turns bubbly. 2. Take the flour and place it in a large mixing bowl. Next, beat 15 quail egg yolks, 5 whole quail eggs, and salt together. After you have a smooth mixture, stir the yeast into the flour along with the smooth egg mixture. Stir these together until shaggy dough forms. If needed, add some lukewarm water. 3. Next, turn the dough onto a previously floured surface and knead it until it becomes smooth and supple. Try to shape it into a ball, then place it into a lightly oiled bowl. Cover the bowl with a clean towel and let it rise in a warm and draft-free space until it doubles in size. 4. After 40 minutes, take the dough out of the bowl and punch it down, dividing it evenly into 6 pieces. Roll each of the pieces into 12 inches or 30 cm long ropes. While you do this, make sure the pieces are covered with a clean towel. Next, loosely braid 3 ropes together in order to make it look like a challah and pinch the ends to seal. Yes, braiding is an essential part of this challah bread recipe. 5. Then, transfer to a lightly oiled baking pan. Do this with the rest of the ropes. After you’re finished, cover them with a clean towel and let rise in a warm and draft-free space for an hour. 6. Heat the oven to 200°C. While the oven warms up, beat the remaining 5 quail egg yolks with 1 teaspoon water and lightly brush each loaf of challah with the mixture. 7. Now, to complete this challah bread recipe, place the 2 loaves in the oven, reduce the temperature to 170°C and bake until the loaves sound hollow when tapped and are golden brown. This should take 35-40 minutes. 8. Remove the challah bread loaves from the oven and place them on wire racks. Allow them to cool down completely before cutting into slices.